No garden? No problem! 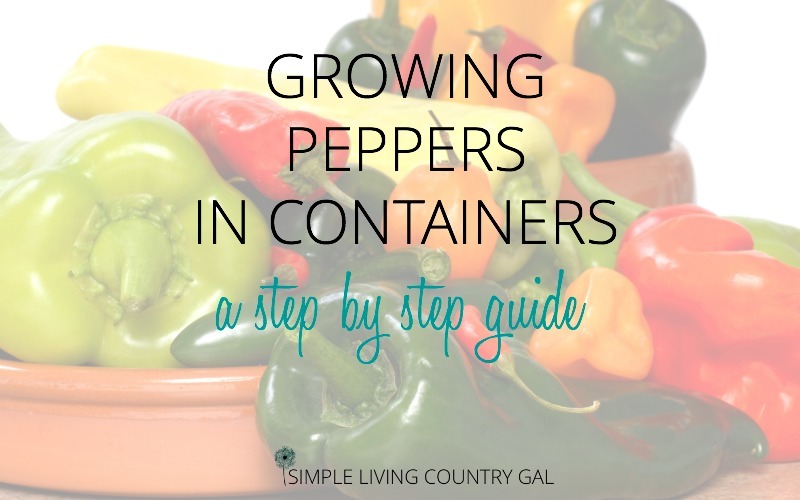 Did you know you can grow peppers in containers? You can have a full garden right there on your patio this summer. When it comes to gardening and growing your own food there really aren’t any rules. No more is it required for you to have acres of land or even a huge backyard so you can give your family a kitchen full of fresh veggies. All you need is some dirt, a pot, and a few seeds. Yep, it’s true you can grow just about anything anywhere and that is great news. The most important thing to remember when you grow your produce in containers is water. With limited space, things can dry out pretty quickly. Get yourself on a good schedule to ensure your plants never dry out. I prefer to water in the morning. This will encourage a healthier plant and avoid the evaporation that the sun can do if you water in the afternoon. Also, try to avoid watering in the evening unless you have to. Watering at night will encourage disease and even pests. This is why I prefer morning watering. If you are a lover of all things hot, then peppers are probably on your list of staples in your kitchen. Adding a few varieties of this wonderful veggie is a great way to round out your patio garden. Since their characteristics are very similar to tomatoes they pair nicely and even look great on any porch. This hot pepper is a great addition to any patio. It is perfect for salsas, tacos, chili, and omelets. Even though most people consider this a hot pepper, it is actually considered a mild to medium heat. The heat you get all depends on the amount of membrane you use since that is where the majority of the heat is held. With these peppers, the most important thing to remember is they love to be warm. Make sure your soil is 70 degrees and your plant is in full sun. Water often to prevent the soil from drying out. When you are watering your plants, try to keep the water off of the fruit and leaves. This will deter any diseases from forming. Adding a layer of mulch around the base of the plant will help to keep soil moist a bit longer. 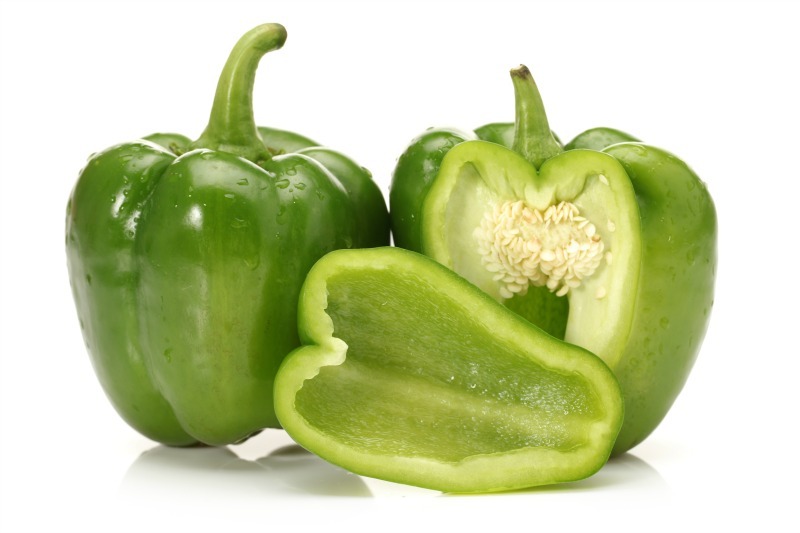 Pick your peppers when they are firm and bright green. If left on too long they will begin to turn red. Red jalapenos are sweeter and not quite as hot but perfectly fine to eat. A wonderfully sweet pepper this is by far my favorite one to grow, freeze, and to cook with. When choosing a spot, pick an area that is at least partially protected from any strong winds. As fruits begin to develop you may want to add support to your plant to help reduce strain on the base of the plant. A good tip for Bell’s is to pinch away new growth from the plant. This will regularly promote a bushier plant that will do very well in your pot. Bell peppers also like it warm but not as much as Jalapenos. 60 degrees is a good temp to grow a nice healthy plant along with at least 6 hours of direct sun. Keep your plants watered regularly so they do not dry out. Since they are in pots you will need to water more often but a layer of mulch will help to keep things moist longer. When your peppers are a nice shiny green they are ready to harvest. If you leave the peppers on the plant longer the colors will change to red, orange and even yellow. 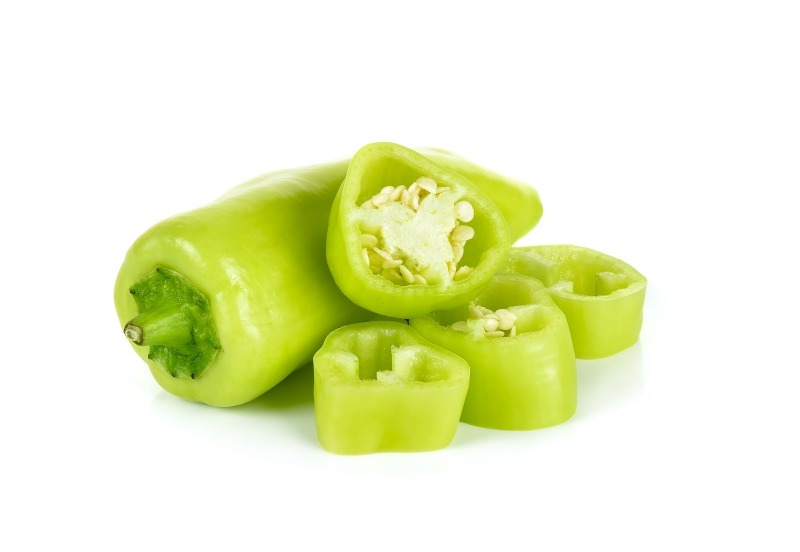 The banana pepper is a yellow and medium-sized pepper and a member of the chili pepper family. It is a long, slender fruit that resembles a banana with waxy skin and minimal seeds. This pepper has a nice mild yet tangy taste with some varieties that offer a nice level of heat. I love to use these in omelets, sauces, on pizzas, or in our homemade hotdog relish. If you like pepper rings this is a great variety to use for that. These plants also enjoy warmer weather and require at least 8 hours of sun. Again you will want to keep them protected from heavy winds. Keep your soil consistently moist throughout the growing season. Using mulch will allow that soil to keep from drying out too quickly in the hot summer sun. I know I sound like a broken record, but when you grow your garden into containers you need to double how often you water. Just one or two forgotten days can quickly damage your delicate plants. The most common color for these peppers is yellow but if left on the plant they will turn orange or even red. The sooner you harvest the more heat you will have. If you want a sweeter pepper orange or red is your color. 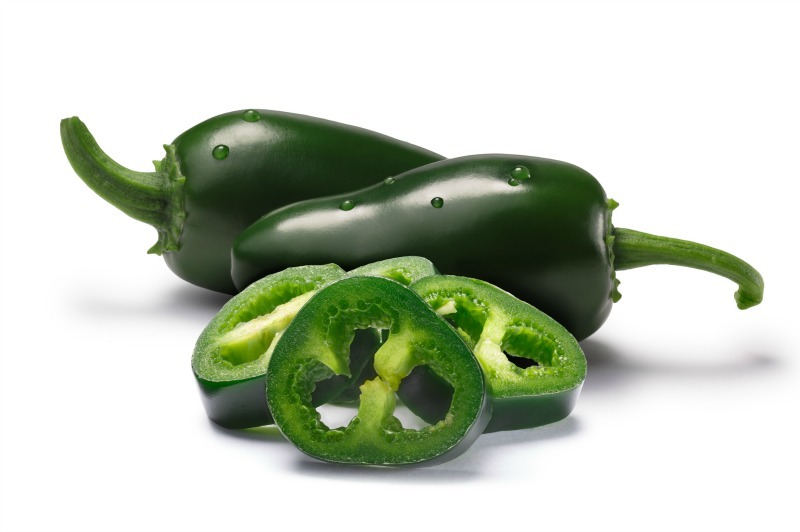 This is a great hot pepper that is perfect for many dishes that require a kick of heat that you might not get from the jalapeno. These peppers come in a wide range of heat, so pick the best level of hot when you are choosing your plants. I like the long red chili and find it is easy to freeze or dry so I can use it throughout the year. This variety of plant can fill up completely with peppers so you may want to stake it for extra support. If a plant has enough room you can easily expect 100 peppers or even more! Since these plants can grow quite large you may have to transplant into a larger container so be aware of that. Since these plants hate cooler weather I would suggest keeping them indoors at night until the normal overnight temperatures are over 60 degrees. During the day a good 6 hours or more of sunlight is best for this plant. Again because this plant can get so heavy keep it sheltered from high winds. Make sure you have really good drainage and water often especially when the days are really hot. To keep things moist you will want to add a nice layer of mulch and replace throughout the growing season as needed. Chili’s do well with dry/wet times so you do not have to water every single day unless the plant is completely dried out. I read this tip online but have yet to test it out to see if it actually works. If you are looking for a hotter pepper hold back on the water just a bit and that is just what you will get. You can harvest when green, red, or yellow each giving its own distinct flavor and level of heat. Choose a pot that is at least 15” wide and deep enough to allow those roots to grow. The beauty here is that anything can be used as a pot. A bucket, tote, washtub, feed sack, even a very large bowl. If it’s big enough and has good drainage you can grow a pepper plant in it! Here are a few ideas just in case you are not happy with the above options!! Make sure you have ample drainage in whichever pot you choose. If you are using a bucket you will want to drill a few holes in the bottom to ensure water does not gather risking possible rot to the roots. You can also add a layer of stones to the bottom of your container. This will give an added layer of drainage to your plant. If you want large beautiful plants than I suggest you use a good quality soil. I like to use Burpee’s Organic Soil for my plants especially with my vegetables. This soil is perfect and even works great in containers. Using as much organic matter as possible is important to ensure I am growing the best peppers I can. Add in some compost if you have any available. Compost is the black gold of any homestead but if you are a city dweller you may not have any on hand. Now composting is easy to do no matter where you live and I encourage you to give it a try. I am absolutely in love with this adjustable compost bin by Geobin. It is super lightweight, will work just about anywhere and it’s a great way to create your own compost even in the city. When you grow peppers in containers you will want to add some organic fertilizer at this point. Again I really love Burpee’s Organic Fertilizer since it is long lasting and begins working immediately. 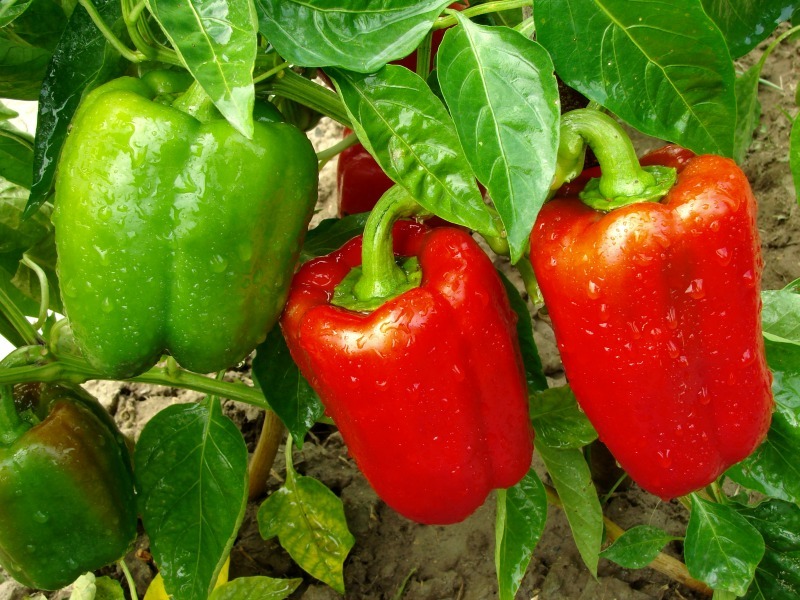 Pepper plants are heavy feeders and really do require some type of fertilizer to grow well. Gently remove the plant from its pot and loosen up the roots a bit to encourage rapid growth. To do this just rub your hands over the roots and gently give a squeeze or two. This will allow those roots to grab on quickly to the new soil and create a nice strong plant. Place the plant into the center of the pot and add more of the organic potting mix until. Press lightly to secure the plant into place. Don’t worry if the soil covers a few of the small lower leaves, this will not hurt the plant at all. As the plant grows you may want to provide additional support. A tomato cage or wooden stake will work perfectly. Be sure to secure the plant gently and loosely to allow for more growth. I absolutely love how more and more folks are moving their gardens up onto their patios. Even though I still have my larger garden down below I love to have a few plants close by. Having my favorites right outside my door makes cooking much more enjoyable. 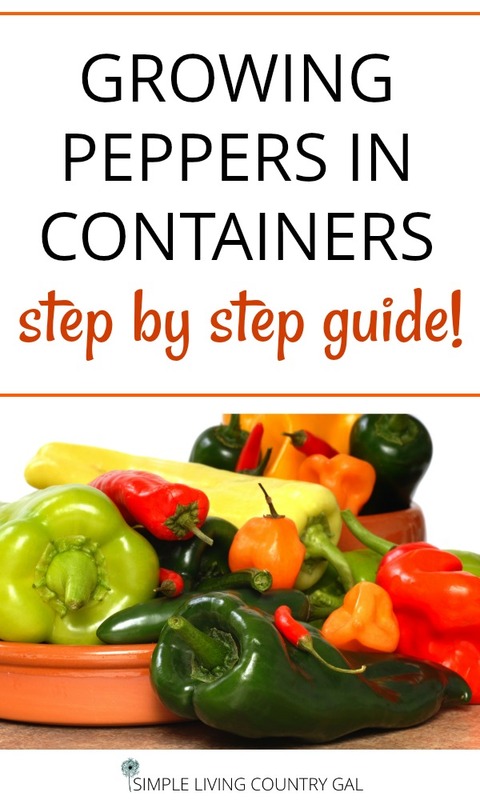 Do you grow peppers in containers? If so, what tips can you share? I have had a lot of trouble with peppers even though I am in the south! Thanks for this information, found you on the hop. I hope you have an amazing pepper season this year Leilani! Wow! A really great and informative post! I really liked the simple steps on growing in containers. Thanks for sharing your knowledge!